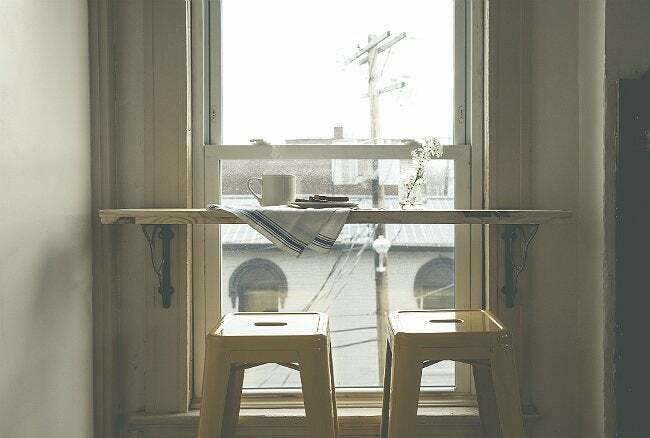 Constraints beget creativity, as evidenced by the simple, useful, modest, and unexpected refined DIY breakfast nook one blogger devised when short on space. Last year, Tiffany left her roomy rental house for a compact apartment closer to downtown. Though ideally located, the apartment offered limited space—not simply for stuff, but also for activities. At her old place, Tiffany had loved to host occasional guests; to do the same in her comparatively cramped new digs, she would need to get creative. After weeks of brainstorming, she struck upon the idea for what would become a DIY furniture equivalent to a Swiss Army knife. 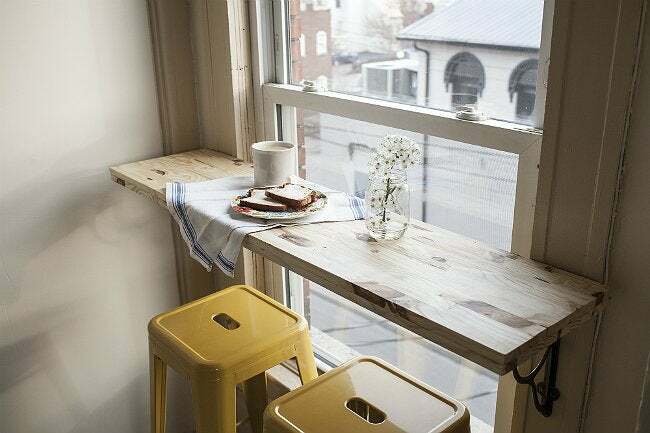 It’s a breakfast nook. It’s a dining area, desk, and project area. It’s all of those things. It’s genius. Here, in one corner of her apartment, Tiffany created a sunny, versatile zone in which to do everything she feared there wouldn’t be enough room for. The best part? Once she had figured out the design, the rest was easy. 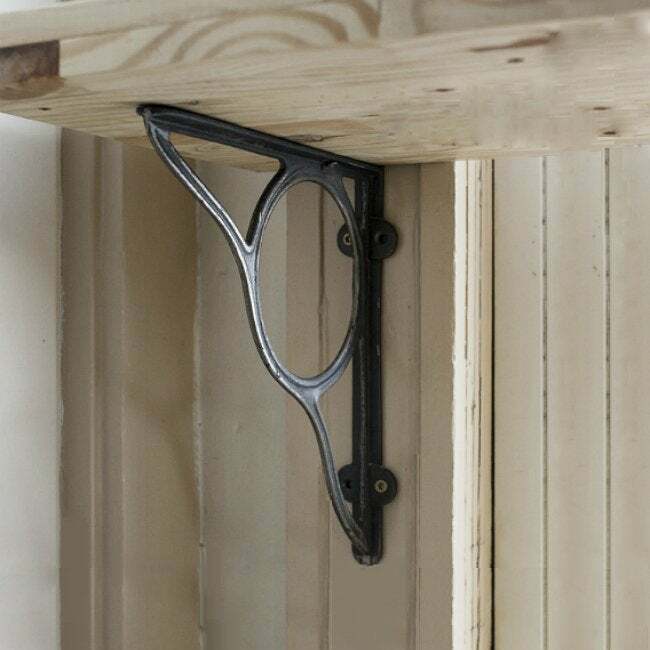 Tiffany spent under $200, but theoretically, you could ratchet down costs to a minimum by opting for low-cost shelf brackets and pair of secondhand stools. You can read, in Tiffany’s own words, how she did it. But here’s the gist: Having carefully measured the window area, Tiffany decided the desired dimensions for her table. Next, she gathered materials that included two boards cut to the correct width. Because she wanted the table to have some heft, she chose to double-up the boards, placing one on top of the other. With wood glue, she joined the boards, applying pressure as the adhesive set. Then she secured the bond with screws. Bracket time! To determine the right height for the brackets that would support the table top, Tiffany sat on one of her stools and marked where her knees touched the window trim. That’s where, with a couple inches added for leg room, she drilled in the brackets. Next, she placed the table top into position on the brackets, then screwed the two together from below, adding stability. Last, Tiffany finished things off with a soft wax that really brings out the knots and texture of the wood.